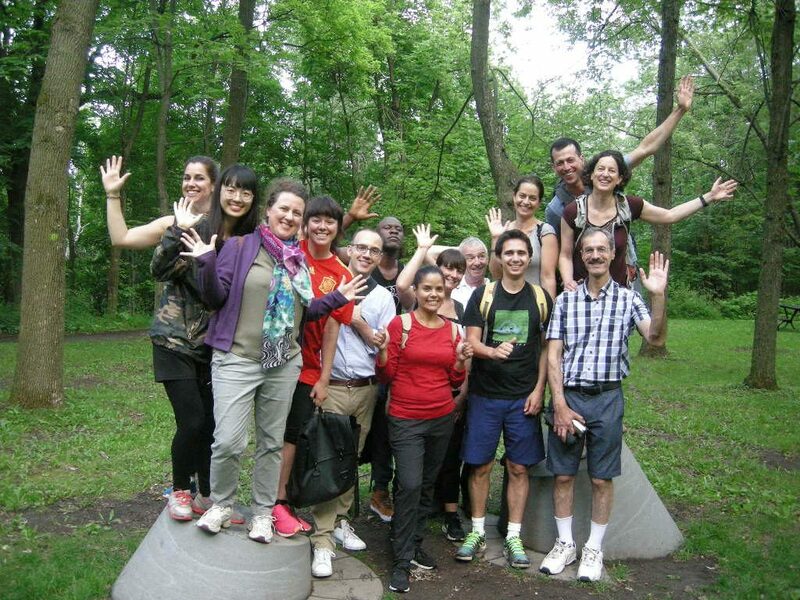 Hike on Mount Royal and in the neighbourhood while practicing your French and English! We’ll walk, get fresh air and exercise, and have a weekly language exchange with neighbours! This spring: meet a new wildflower every Thursday! Just wear decent walking shoes – sometimes we’ll venture onto smaller trails! Rain or shine. When: Thursday evenings starting April 11, from 6 – 7:45 pm. Cost: $50 ($10-$50 for low-income newcomers to Canada) for 9 outings, plus taxes and an annual $10 membership card to the Association Récréative Milton-Parc. Or come try it once for free! Or register for 3 seasons (27 outings) for $100! The first 10 people to register officially will receive an amazing free backpack! Some conditions apply. Registrations: at Milton Park Recreation Association, 3555 St. Urbain (métro Sherbrooke), 514.872.0566, or https://www.amilia.com/store/en/armp/shop/activities/2137188 (just for the spring session).